“We completed a home on a rural lake in Georgia this summer which will be used on weekends for now, and will be our permanent residence in a few years. We don’t need a high efficiency gas furnace because the climate is mild, but we’ll run the air conditioning plenty. Two different contractors suggested looking at the Carrier Boost 80 gas furnace because it can increase the efficiency of the A/C. Here are the two quotes on matching equipment we received for the 2,700 square foot 2-story with a full, walk-out basement. Carrier Performance Boost 80 135,000 Btu gas furnace, $1,450; 5 ton C/A unit, $2,175; installation, $3,300. Carrier Performance Boost 80 135,000 Btu gas furnace, $1,599; 5 ton C/A unit, $2,299; installation, $3,700. The first quote came from a contractor in a small town near the home while the second quote was from a suburban Atlanta company 45 miles away. That’s what I attribute the higher cost to. I checked out the first contractor pretty well with references and the Better Business Bureau and they had a good reputation – a necessity for small town contractors I think. We signed the deal with them and gave a down payment. thank you for the Carrier Performance Boost 80 gas furnace price, Keith. Communication from your contractor is always key, especially when you’re not on site. Don’t be afraid to “bug” them with periodic phone calls to check their progress. That’s part of good customer service – to keep you informed. If you’re looking at the Carrier Performance Boost 80 gas furnace, here are the key features. 80% AFUE for good fuel efficiency. The system will increase the A/C SEER by up to 1.5 points with a properly matched Carrier coil. ComfortFan technology for balanced, consistent performance without temperature fluctuations. Air filtration cabinet allows proper air intake without losing heated or cooled air. Limited 20-year warranty on the heat exchanger; 10-year limited warranty on parts. 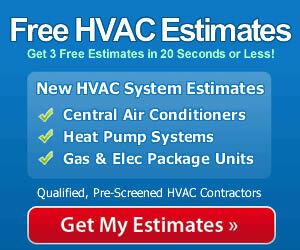 For the warranty to be in effect, the unit must be installed by a qualified contractor and registered within 60 days. Choosing an experienced contractor will reduce installation and performance problems, or at least help get them solved when they arise, as in Keith’s example. Good do-it-yourself skills are a money saver in most projects; when it comes to HVAC systems, many have discovered it actually costs money in the end when systems are not installed properly and either don’t run at peak efficiency, or break with no warranty to cover the damage.